Ignite Digital delivers digital marketing cloud services in Australia, United Kingdom, Spain and France. Ignite Digital is a digital marketing agency, focused on enabling our clients to work smarter and market better. 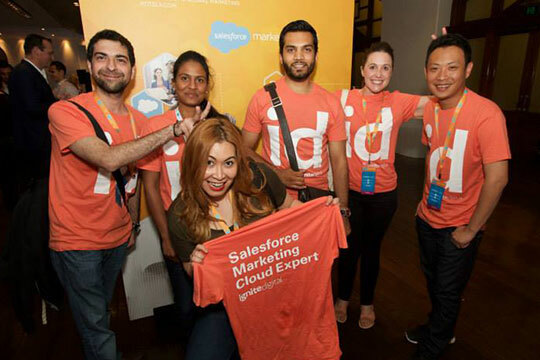 Working with leading brands in Australia and globally, we specialise in delivering sophisticated automated marketing programs through Salesforce Marketing Cloud. Having added over $250 million to their bottom line, our client base includes Citibank, Optus, Pernod Ricard and Staples. Through our systematic approach with identifying these issues and teamed with our full service capabilities, there has never been a better time to harness the opportunities available. Begin to work smarter and market better to your customers by implementing automated multi-channel marketing programs for your company. Talk to us today about how better programs can be implemented with the individual in mind. Obligation free.